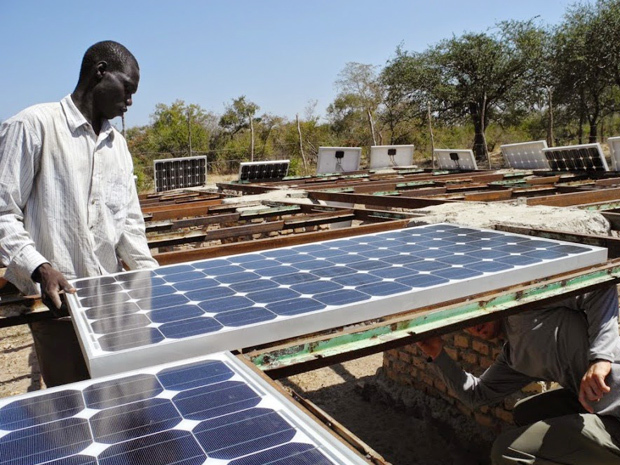 Across Africa, a renewable energy wave is quickly taking shape, positioning the continent as a global frontrunner in embracing a form of energy that not only holds promise for a clean future but one that is lighting up homes, sparking innovations among the youth, inspiring new enterprises and opening up the continent to more investment opportunities. From Côte d’Ivoire, which is currently replacing the noisy and dirty bush taxis with solar-powered three-wheelers and Kenya’s Lake Turkana Wind Power Project, the largest in Africa that can power up to one million homes to South Africa’s six solar-powered airports, which are meeting up to 45 percent of the country’s airports power requirement needs, Africa has taken the wheels in championing the green energy agenda. In a continent where 70 percent of the population does not have access to reliable energy, the deficit has crippled development with, for example, manufacturers in Sub Saharan Africa see an average of 56 days of shutdown each year as a result of power outages. The region requires over $30 billion in investment to achieve universal electricity access by 2030. With that, it is commendable to see regional blocs like the Economic Community of West African States (ECOWAS) actively pushing for rural based renewable development agendas with clear timelines on what can be achieved when. The onus is on other blocs in the continent to emulate the West African nations; the noble pursuit requires joint efforts to materialise. While the momentum is now at commendable levels, changes in governments, conflicts and other competing needs may slow this resolve. However, governments, policymakers and friends of Africa should call to mind the fact that the milestones in clean energy so far have demonstrated the transformative power to all facets of economies and in reducing poverty. This should jolt us all to action and keep the clean energy resolve ever blazing.